Sometimes when you’re sick and tired of watching dramas but not in the mood to watch something in English and just want to watch something short and simple like a movie, a Korean movie is your best option. I’m pretty that sentence made no sense, but whatever! All I know is that I enjoy watching Korean movies and here are some of my favorite movies you should watch right now. This is one of my favorite Korean movies ever! It stars Kang So Ra and Shim Eun Kyung as the 70’s version of the older squad. Basically, Kang So Ra’s character has stomach cancer and asks Shim Eun Kyung’s character to gather their squad together one last time. The movie is really about reliving their past moments and making new ones. It’s absolutely hilarious! I would be in their squad over Taylor Swift’s squad any day. 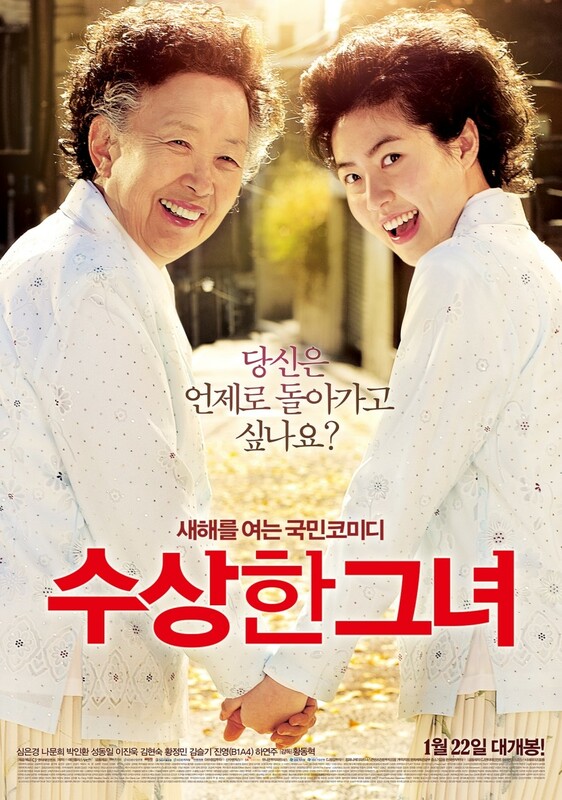 This movie also stars Shim Eun Kyung. In this movie, an old grandmother who’s kind of going through an identity crisis visits a magical photo studio. When she exits the studio, she turns into a younger version of herself. The movie is all about her getting a “second” chance and learning more about herself and her own family. It’s super funny and heartwarming. I mean look at the poster, haha! Also, Luhan plays in the Chinese remake of this movie. If you do not cry in this movie, you do not have a heart! Don’t let the poster fool you. This is a REALLY sad movie. It has some comedy in it, but the end will have you crying, your eyes will be swollen, and you won’t recover until the next day. It’s about a father, who is mentally disabled, and his daughter try to be together while he is in jail. The movie boasts a lot of veteran actors and Park Shin Hye plays the older version of the little girl. This film is probably not on everyone’s must watch list, but it should be. It stars Lee Je Hoon who plays a troubled teen who kills himself. His father then goes on a quest to find out why he did it. Jo Sung Ha plays the father and I heard that he didn’t even get paid to be in this film and acted in it because he the script was that good. If you want action, this is THE action movie. 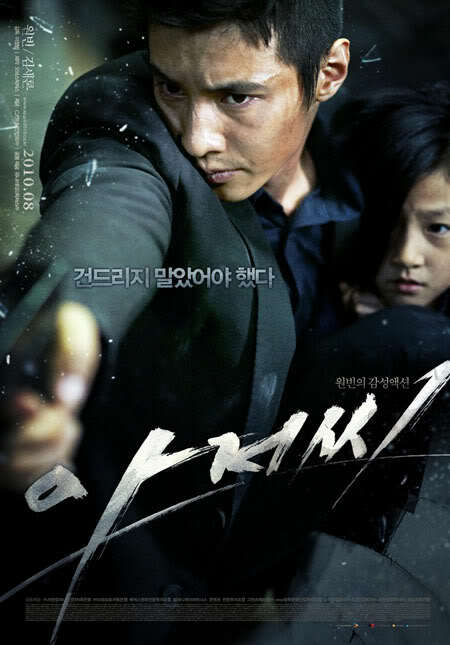 It has action, a great plot, and Won Bin. What more can you ask for? I really do hope you guys enjoy these movies. They’re definitely some of my favorites. Let me know what some of your favorite Korean movies are. In the meantime, you should definitely check out our Winner Exit:E album reaction.